Android File Transfer is often the talk of the town when it comes to transferring data from your Android device to your PC (especially for Mac computers). Though, the Android File Transfer was originally for establishing connection between Android devices and Mac computer for transferring data. But today we have cullated the complete information on Android File Transfers on Windows computers. Let's explore. While wondering about transferring your data, Android file transfer on Windows is the first thing that comes into your mind. This method can transfer files between Android device and your computer through a USB cable. 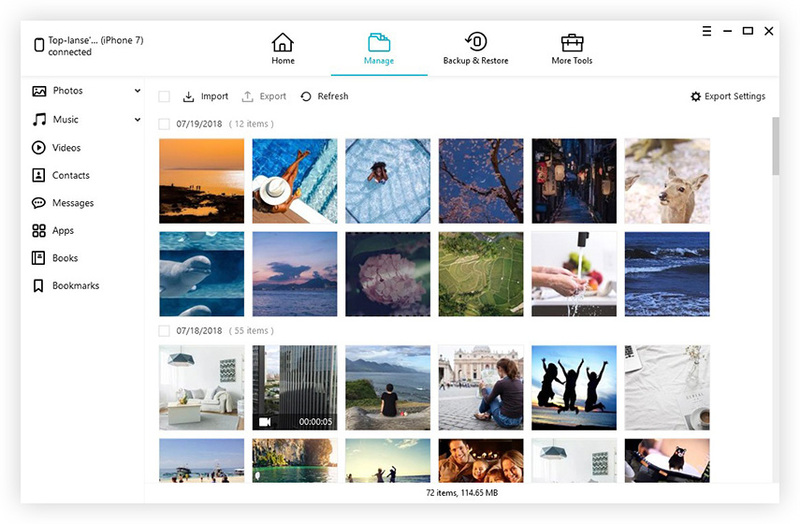 Photos, music, videos and plenty other files get transferred between your phone or tablet and computer via this method. Though, it is a good way for data backup and transfer Android data to your computer, there are certain restrictions limiting its efficiency when you opt to use a Mac device. These shortfalls sometimes force you to switch to another suitable alternative, to prevent an incomplete data transfer or backup. To avoid that Google has an app called Android File Transfer, which can connect an Android device to a Mac computer and allow data transfer too. If you have disabled, the Android mobile/tablet detection or haven't installed the driver software. You have a defective USB cable or the port is in responsive. You have an ulder Android OS version or the Android File Transfer which are incompatible with each other. If Samsung Kies or Smart Switch is installed on your PC. First of all, there is no need to download Android File Transfer for Windows. This app is to enable connectivity and data transfer between a Mac system and Android device. As Mac doesn't support plug and play with an Android device. So, you need to just connect your Android using a genuine USB cable to the computer. Now, unlock the Android phone screen and go to the notification bar by swiping down the screen from the top. Tap on the 'USB connection' message over there once to open the USB options. After that click on the 'Transfer Files/File Transfers' option from the list of options under USB. Now, the computer will detect your device just like a USB flash drive and read the internal and SD card memory as well. From the popup window on your screen or through the left side panel, you can enter the storage area of your Android phone and select the desired data to be transferred. Select the data and right-click > 'Copy' and then 'Paste' on your Windows computer's fulder. Alternatively, you can select the files and then drag and drop them on the destination fulder. Now, you are good to go! If you are planning about secure Android file transfer for Windows XP/7/8/10, then you should explore touls like Tenorshare iTransGo. This software can even helps you selectively migrate and copies files to an iOS device as well. This toul is an efficient iOS data transferring toul. Step 1: Download Tenorshare iTransGo (Phone to Phone Transfer) software on your computer. Install and launch it and then get USB cables to connect both the devices to your computer. Step 2: Tap on the 'Next' button after your devices get connected. In the Tenorshare iTransGo software interface mention the source and target device thereafter. Allow, it to analyze the content before moving to the next step. Step 3: In this step, you have the liberty to choose data selectively or pick the entire list on the source device. Assuming that you want to transfer all files, press the 'Select All' checkbox to select it and tap on the 'Start Transfer' button thereafter. All the data from the target mobile will be erased completely and the software will take a while to finish copying the data to the target device. From the said article, we found that Android file transfer for Windows 10 download is effective using the drag and drop method. But, when it comes to data transfer between an iOS device using a computer, then you need to pick a trustworthy program like Tenorshare iTransGo.